When choosing a dentist, it's important to learn as much as you can about the practice and their approach to patient care. Referrals by friends and online testimonials are a great way to get an idea of the type of treatment that's provided. We're pleased to say that our patients give us glowing reviews for our skill, professionalism, and outstanding patient care. Please take a moment to read what many of our satisfied patients are saying about their experiences at Palm View Dental. 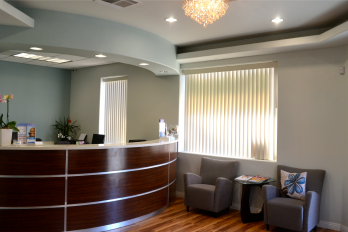 "I was looking for a new Dentist and I am so happy to have found Karen Ho, DDS. She is friendly, professional, and efficient... but most importantly VERY good at what she does!!! The entire office staff is friendly which is a huge plus for someone like me." "Karen Ho is the best! She's very gentle on your teeth, friendly, and doesn't make you wait. Very friendly staff there as well. I used to hate going to the dentist because of all the horrid wait times, but no more! I'm definitely going to refer as many people as I can to her." "Dr. Ho is a wonderful dentist who truly cares about her patients. I happened to find her here on yelp and after reading the reviews, decided to schedule an appointment. I was a little nervous since I had previously had bad experiences elsewhere. Her friendly and knowledgeable staff put me at ease, confirmed my insurance availability and scheduled me right in. Since then, I have gone to see Dr. Ho three times and my teeth are in much better shape. I will continue to see her for all my dental needs and would recommend her to anyone. Thank you Dr. Ho, you are the best!" 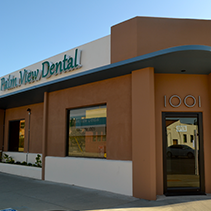 "After moving back from Santa Barbara, I was looking for a local dentist in the area. I decided to try Karen after all the rave yelp reviews and she is just amazing. I am not a fan of going to the Dentist but she is incredibly nice, friendly, approachable, and great "Bedside Manner" as one review explained. On top of that she explains to you step by step what she's currently doing and going to do, she was very helpful in answering all my questions as well as providing good tips preventive wellness for your teeth! In addition, she has a very light touch with her handling of teeth, my gums did not bleed and I did not feel any discomfort during my cleaning." "Dr. Ho is just awesome. I am sooooo glad I found her, she has really changed my whole view of going to the dentist. No longer do I feel nervous and dread about going to the dentist! " She has been my entire family's dentist for the past couple of years now and I absolutely adore her! I've had horrible experiences in the past with physicians and dentists, so it was such a blessing to have found Dr. Ho right here in the SGV. One of her greatest qualities as a professional is that she explains every detail and step with you as she is working on you. I love this because no one enjoys hearing that drilling sound or feeling that suction contraption, so with this added measure she allows us as patients to anticipate and mentally prepare ourselves for whatever discomfort we may indure. 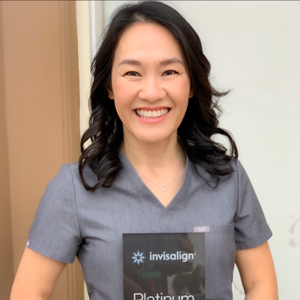 She is also extremely gentle when working with drills and uses a generous amount of Novocaine when necessary, so you never have to worry about feeling any pain in the middle of a procedure....she is amazing. All of her staff and assistants are also kind and friendly. " 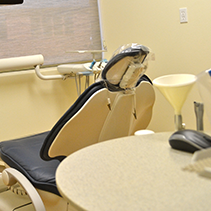 "Dr. Karen Ho is one of the finest dentists in the area. The x-ray performed by the staff was very comfortable unlike some other places and the dental cleaning performed by Dr. Ho was thorough and painless. Nothing better than a perfect smile :) "
"Dr. Ho is friendly and explains what procedures need to be done and what can wait. Does not try to sell you on unnecessary procedures. Her prices are also very reasonable. First dentist that I have been to that I can actually look forward to coming back to. Would highly recommend." "Beautiful place! Dr. Ho? Amazing!!! Finally someone who can make me feel comfortable at a dental place. :) "
"I visited Dr. Karen Ho's office for my teeth cleaning and check-up because she was highly recommended by my husband. The staff was nice and the wait was not long. Dr. Ho was very detail and she took the time to explain my x-rays to me. The whole process was very efficient and the office is clean. Dr. Ho is knowledgeable and very professional." "Very awesome group. they work very well with special need kids." "Dr. Ho is highly professional and a great dentist. 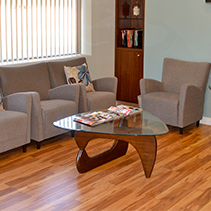 I have been coming in for regular checkups and cleanings which were done impeccably....She gives you all the facts and lets you make decisions for yourself." "Dr. Ho is very professional and kind. Exactly what I was needing in a denist." "I've been going to Dr. Ho for more than 2 years. She has done x-ray exams, cleanings, deep cleanings, fillings, extractions and Invisalign for me. Prior to going to Dr. Ho, I have not been going to any dentist for almost 5 years, as I am scared of dentists (childhood phobia). However, my dental experience has been very pleasant with Dr. Ho. She always explain the details about the problems and solutions to you, and make sure you are comfortable with what she is going to do next. The extractions are painless. I've never imagined extractions would be this painless, as I remember when I was a kid, they were so painful that I would want to beat up my dentists, LOL! I'm having my teeth alignment done by Dr. Ho now, using Invisalign. I had it for almost 1 year now, and the whole experience has been great. Dr. Ho's works are precise and accurate, and my teeth look so good now compared to before. I highly recommend Dr. Ho. Thank you, Dr. Ho!" "Dr. Ho is the BEST experience I've had with a dentist! Dr. Ho is very gentle, walks you through all the procedures while she's working on you, is always calm, and her staff is SUPER nice! I am so glad I found her!"